Amazing natural shimmer you've come to expect from Kessil, with a controllable LED, now in a compact package. We can't help but be impressed with the natural looking lighting effect produced by Kessil LEDs. They produce an amazing shimmer to rival a metal halide and you can even see the shadows of fish swimming over the sand - just like in the ocean. Kessil has put years of research into their LEDs creating a Dense Matrix LED which tightly packs the LEDs onto one chip with numerous colors and numerous wavelengths of light. 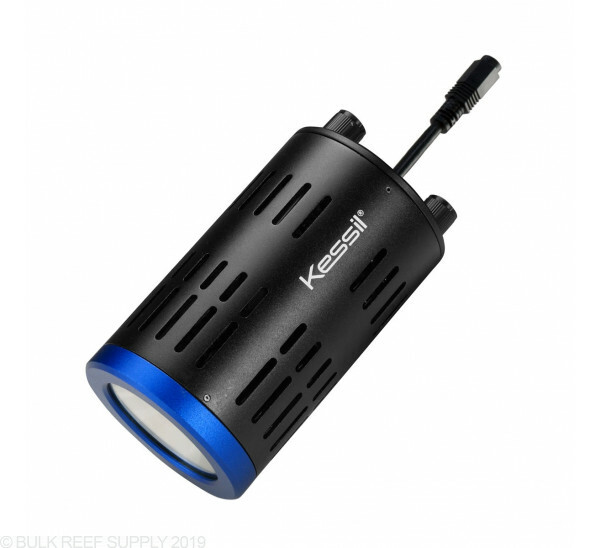 The Kessil A160WE Tuna Blue is perfect for nano and pico saltwater aquariums. Emitting a spectrum range of 10,000K to 20,000K making them a perfect light for fast growth, and coloration of corals. Pair the A160WE up with a Kessil A-series gooseneck for an easy and quick mounting solution.